Summertime’s done and school is officially back in session. That means back to the pencils, back to teaching and learning and school-day amusement with friends. It also means back to the bus, to crosswalks and to playgrounds—back to the basics of safety awareness. At GVEC, we believe school-time safety isn’t a pass/fail proposition and neither is it a “one-and-done” event. “Failing” at basic safety can have serious consequences—consequences that last far longer than a disappointing test score. 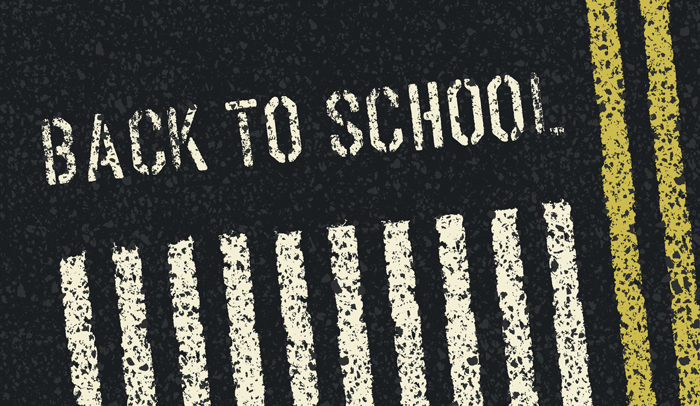 We’ve compiled the list below as a safety “refresher” to help students and parents get back into a school-year groove. Remember: Your kids won’t be tested over this information, but knowing and practicing good safety might well save their lives. When on foot, always stick to the sidewalk, use crosswalks and always look both ways before crossing traffic. Avoid walking between parked cars, too. Walk in groups whenever possible or, in the least, with a friend. Avoid talking to strangers when you’re on foot and under no circumstance should you ever accept a ride from a stranger or from someone not first approved by your parents. You’ve only got one brain. Protect it every time you ride by wearing a helmet—no exceptions. Always keep your shoes tied when riding, too; those dangly shoestrings can easily—and quickly—get snarled in the pedals or bicycle chain, leading to a serious crash. And don’t forget to walk your bike when crossing the street—always in a crosswalk, of course—and to use plenty of reflectors. Whether in the front seat, backseat or behind the wheel, always wear your seatbelt when traveling in a car. Stay back, away from traffic when waiting for a school bus. And never go into the street to board until the bus comes to a complete stop with the ‘Stop’ sign and blinking lights fully extended and engaged. If you must cross a road to board, keep an eye out for cars that fail to stop. Finally, if you’re an elementary-age student, it’s extremely important to memorize your address and both of your parents’ phone numbers (or, in the least, to have them on speed dial if you carry a mobile phone). You should also be well acquainted with dialing 911 for emergencies. Above all, have a great year!